Our Firm has experienced appellate attorneys who have represented clients on appeal in hundreds of state and federal cases, including the Fourth Circuit Court of Appeals and the United States Supreme Court. We have a thorough understanding of the appellate rules of procedure and can help clients navigate the complexities of an appeal. Our experience sets us apart, as our attorneys make strategic use of the appellate courts to represent our clients’ interests. We are available to assist clients beginning at the appeals stage. In addition to advising our clients on business matters, our attorneys regularly litigate business and commercial cases. 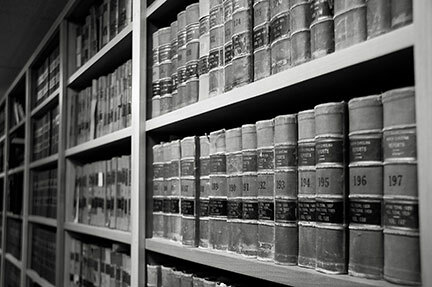 Our experience includes pursuing and defending claims involving breach of contract, breach of fiduciary duty, employment issues, partnership disputes, professional liability, trademark issues, unfair and deceptive trade practices, as well as matters arising under the Carmack Amendment and Uniform Commercial Code. We have litigated commercial claims in federal and state courts, before arbitration panels, and in the North Carolina Business Court. The attorneys in our practice have over a hundred years of experience in civil litigation. Using this breadth of experience, we vigorously defend and pursue claims related to professional liability, products liability, construction litigation, real estate broker liability, employment litigation, and personal injury and wrongful death. Our lawyers evaluate insurance coverage issues and provide advice to insurance carriers on claims handling and analysis. These issues may involve both first-party and third-party claims, as well as personal and commercial policies. We are often retained to provide coverage opinion letters and also proactively seek resolution of coverage issues through litigating declaratory judgment actions. Our attorneys regularly defend counties, municipalities, and public officials against claims of all kinds. We also provide advice and guidance to public entity clients on a full range of issues, from advising sheriff’s deputies on traffic stop practices, to serving in the capacity of Town Attorney. Our experience allows us to keep clients from common pitfalls and aggressively defend their rights. Our attorneys provide advice and counsel to small businesses on a number of issues, including business formation, corporate governing documents, annual meeting minutes, regulatory issues, buy-sell agreements, contract negotiation, and insurance concerns. We aim to provide practical advice to our clients in an efficient, cost-effective manner. Our attorneys serve both as statewide counsel for a Forbes Fortune 500 company and national coordinating counsel for a North Carolina company involved in asbestos litigation. Our attorneys have extensive experience in defending mesothelioma (and other asbestos-related disease) claims against manufacturers, suppliers and vendors. Our lawyers represent large and small trucking companies on behalf of numerous national insurance companies and directly as self-insureds. We have handled all types of truck accident litigation, including multi-vehicle and fatality litigation. We provide a 24/7 emergency response to clients with urgent needs following a catastrophic accident. We work directly with risk managers, adjusters and engineers to investigate the accident, including preserving physical and electronic evidence, taking driver and witness statements, and managing relations with law enforcement. If you have an immediate need for legal support following an accident, call the Rapid Response Team hotline at [phone number] and you will be connected with an experienced attorney with access to independent adjusters, accident reconstructionists, criminal defense attorneys, and other industry experts. Our attorneys will work with you to form and implement a plan to preserve and distribute your estate, based upon your individual needs and preferences. We also assist with setting up an end-of-life decision-making plan. As part of our practice, we prepare wills, trust agreements, and various powers of attorney for clients. We also assist with advanced directives, known as “living wills,” and health care powers of attorney. When an employee is injured on the job or suffers a workplace-related injury, workers’ compensation laws entitle the employee to compensation from the employer. Our lawyers defend businesses and insurance carriers and represent injured employees in Workers’ Compensation matters. Shannon Warf Wilson is a Board-Certified Specialist Workers’ Compensation by the North Carolina State Bar.